The Vietnamese government says it will offer interest-free loans to shipbuilder Vinashin to pay salaries, after the company failed to make the first repayment of a big foreign loan. 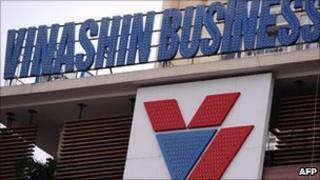 Vinashin is one of Vietnam's largest state-owned companies. But over-expansion took it to the brink of bankruptcy and it is now being restructured. Vietnam's sovereign credit rating was recently downgraded, partly because of Vinashin's troubles. Vinashin - also known as Vietnam Shipbuilding Industry Group - ran up debts of about $4.5bn (£2.8bn) after a period of rapid expansion. On 20 December it missed the first repayment of a $600m loan arranged by Credit Suisse in 2007. It is reportedly seeking a one-year delay in repayments. The Vietnamese government has said it will not bail out the shipbuilder, which employs tens of thousands of workers. But the interest-free loans - from the state-owned Development Bank of Vietnam - will pay salaries and workers' insurance, the government said in a statement late on Monday.